This passion is one of the reasons he's a leading activist in Houston for No Kid Hungry, a national campaign run by Share Our Strength, a nonprofit working to solve problems of hunger and poverty in the United States and around the world. 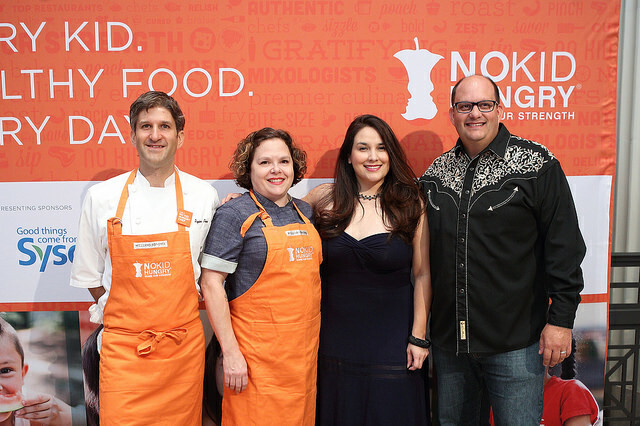 On May 22, he's co-chairing Taste of the Nation--alongside Julep's Alba Huerta, Texas Monthly's Daniel Vaughn and Fluff Bake Bar's Rebecca Masson--a culinary tasting event featuring over 40 of the region’s top chefs, bartenders and pitmasters, all united for one cause: making sure all children have the nutritious food they need, every day. Ryan was first introduced to No Kid Hungry in 2016 when he was invited to join other chefs from around the nation to tour of several elementary schools in New Orleans offering free meal programs to students. He got to see firsthand just what No Kid Hungry supports: school breakfasts, summer meals and family nutrition education. Since returning from New Orleans, he chaired the 2016 Taste of the Nation, which raised $93,000. This year's event, which was rescheduled due to Hurricane Harvey, is on pace to raise $133,000. He also participated in Chefs Cycle, a 100-mile bike ride, to raise money for No Kid Hungry. Ten members of the Agricole Hospitality team joined him and raised $26,641 to fight childhood hunger. How can you help? By attending Taste of the Nation on May 22 and sampling some of Houston's best food and drinks for a good cause.